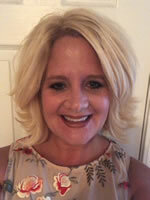 Adele Harrell received her Bachelors in Science from Louisiana State University Health Science Center School of Nursing in 2001 and a Master’s in Nursing Education from Louisiana State University Health Science Center School of Nursing in 2010. She was a faculty member of LSU School of Nursing from 2012-2014 in the undergraduate program and the CARE program teaching Foundations of Nursing, Health Assessment and Nursing Management. She has extensive experience in Hospice and end of life care and was a leader in the profession as a hospice Director of Nursing for inpatient and outpatient. Her true love in molding the undergraduates into the nursing profession.